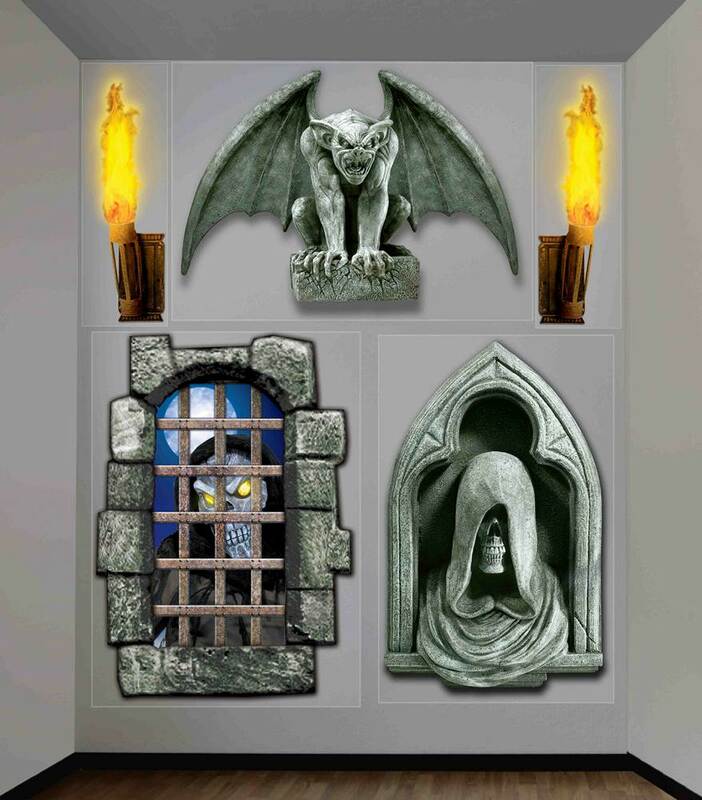 Easily decorate your rooms with a spooky theme with this Creepy Dungeon Wall decor. Package includes 5 giant decorations. Easy to hang using Sticky Tack or tape (sold separately). Good for indoor/outdoor use. this decor is so detailed and I cannot wait to put on my wall for Halloween with so many other items!!! and you cannot beat the price!!!! LOL cannot wait till Halloween to use this!!! !